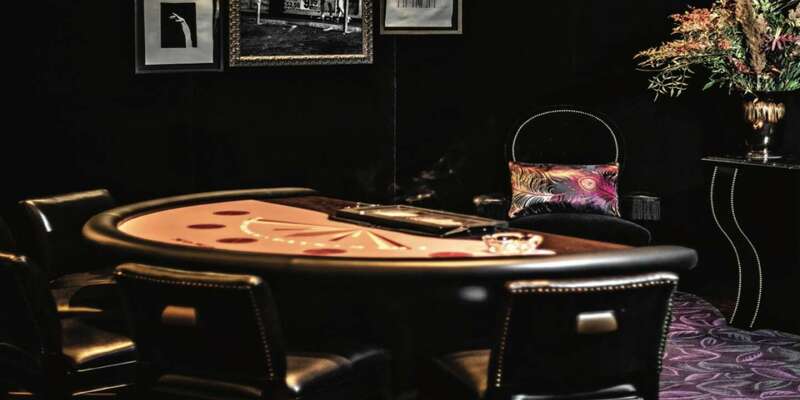 Under the iconic Tiffany glass ceiling of the former Monte Carlo, the very first NoMad Casino provides an intimately refined space to play high-limit Baccarat, Roulette and Blackjack. 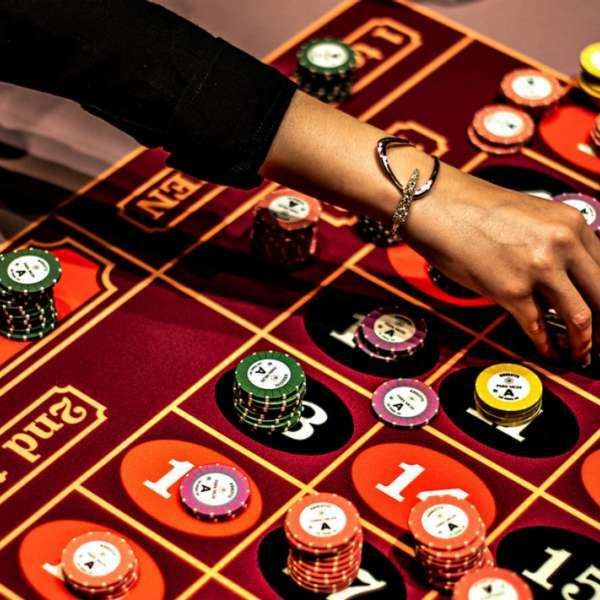 The gaming floor takes inspiration from the old-world glamour of European casinos and the playfulness of our new home on The Strip. 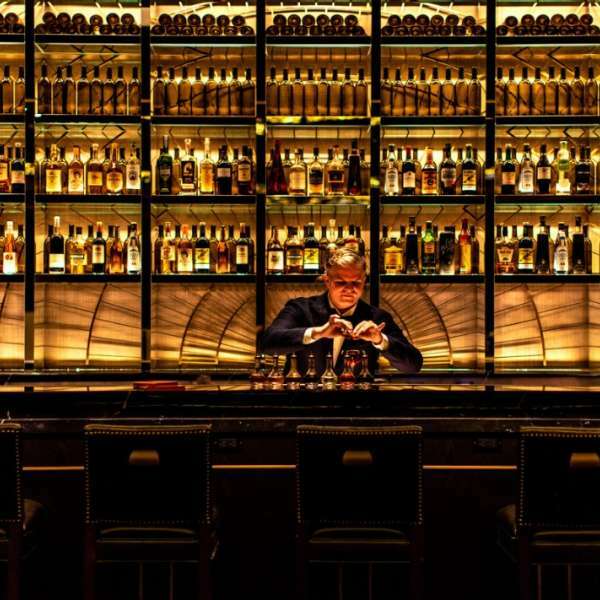 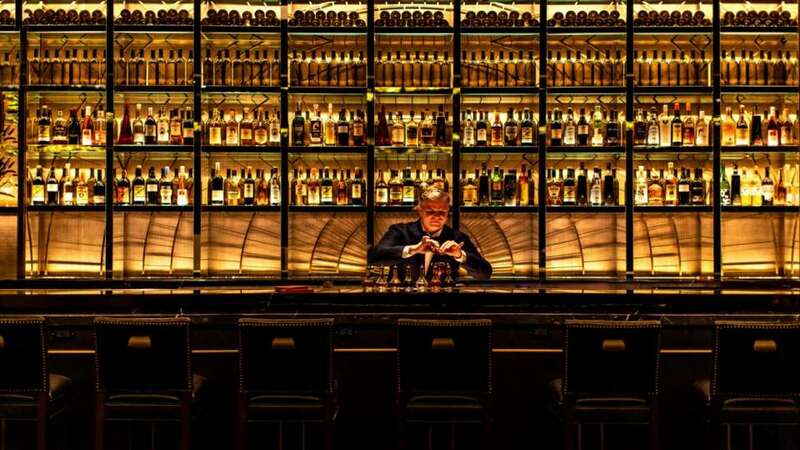 The Casino Bar will showcase expertly crafted cocktails from acclaimed bar director, Leo Robitschek. 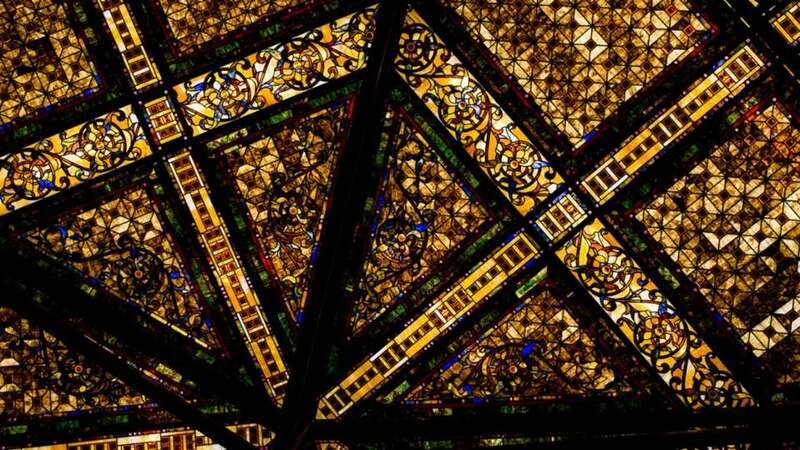 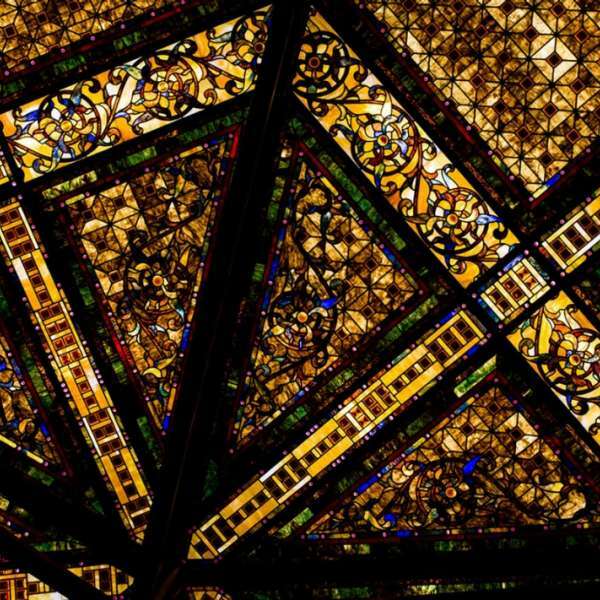 Ceiling of the casino in NoMad Las Vegas. 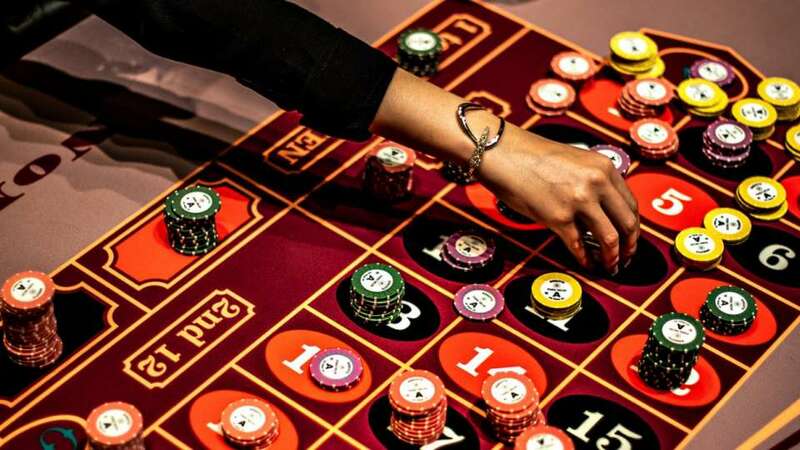 A Roulette table game with chips.